This wool has a hard dense finish and may serve as a substitute for more expensive fabrics for British mock scarlet. It would make a very nice man's coat, jacket, breeches or greatcoat or woman's cloak. For example in The Newport Mercury of 1765, "By a Letter from Guilford, in Connecticut . . . we are informed, that on the 12th the Body of a Gentleman was found on Goose Island, and was buried the next Day: That he had on a . . . red Broad-cloth Jacket" by personal communication with Mike Barbieri. Red 35/2 linen thread and both 1/2" and 7/8" worsted wool tape matches this fabric. 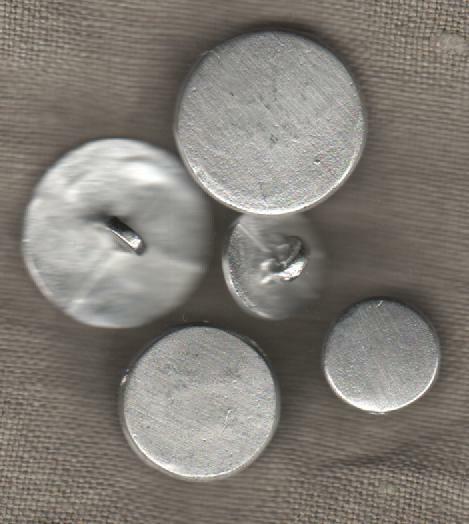 For sewing button holes try scarlet silk button hole twist or quilter's thread.